Laureano Herrera of Sonoma-Cutrer Vineyards, Russian River Valley, won first place honors at the 14th annual Sonoma County Pruning Championship held on Friday, February 22. He expertly pruned five vines, combining speed and best quality work, and collected $1,000 for his winning efforts. Approximately 130 people attended the event to cheer on the competitors out at Santa Rosa Junior College Shone Farm. Second place honors went to Javier Diaz of Sonoma-Cutrer Vineyards, Sonoma Valley; third place went to Gustavo Rico of Seghesio Farms, Inc. of Alexander Valley; and fourth place was Alberto Avina of Chateau St. Jean/Treasury Wine Estate of Sonoma Valley. In the celebrity winemaker/vineyard manager pruning competition, the teams from Alexander Valley and Sonoma Valley beat teams from Knights Valley, Russian River Valley and Dry Creek Valley. Alexander Valley placed first overall with the team of Miguel Maciel of Vimark Vineyards and Jose Luis Flores of Trione Winery. First and second place winners from the recent regional contests advanced to the Sonoma County Championship (listed below). This annual series of pruning contests was organized by the Sonoma County Winegrape Commission and the AVA groups. The purpose of the contest was to showcase the skills of the vineyard employees and to recognize that pruning is the critical start of the 2013 vintage year. 2nd Place: Gustavo Rico, Seghesio Farms, Inc. The event is co-sponsored by the SRJC Ag & Natural Resources Department. Industry sponsors made it possible to hold this event at no charge to the participants or attendees. Please patronize the sponsors that support the growers: Platinum – American AgCredit, Wilbur-Ellis, Chris Maloney Crop Insurance, Vineyard Industry Products and Central Valley Builders Supply. 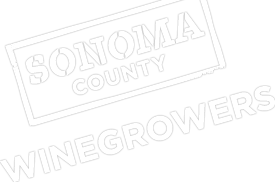 Gold Sponsors – Redwood Empire Vineyard Mgt., Bevill Vineyard Mgt., Tri-Valley Vineyard Mgt., Clendenen Vineyard Mgt., and Cameron & Cameron. Silver Sponsors – Wyatt Irrigation & Supply, Ag Unlimited and Sunridge Nurseries. Bronze Sponsors – Harmony Farm Supply, Vintage Nurseries, AmeriTrellis, and BWS Distributors.